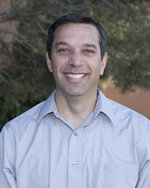 Dr. Paige is a physical chemist who joined Southwest Sciences in 1992. His research involves the application of diode laser spectroscopy to gas measurements. A focus of this work has been making diode laser systems competitive in the commercial sensor marketplace in terms of cost and physical specifications. In this pursuit, Dr. Paige has developed an inexpensive, battery powered electronics system for diode laser sensors. Also, he has been very active in the use of low cost vertical cavity surface emitting lasers (VCSELs) for performing spectroscopic sensing. Instruments developed by Dr. Paige include the ‘46 Hawk, a commercial natural gas leak detector which won an R&D100 award in 2007, the VCSEL hygrometer being flown on the National Center for Atmospheric Research Gulfstream-V research jet, and a nonintrusive headspace gas analyzer for bottled products. Other projects Dr. Paige has been involved in include oxygen sensing in supersonic rocket engines for the Hypersonic International Flight Research Experimentation program, diode laser weather balloon hygrometers, and diode laser photoacoustic spectroscopy.